The Toyota Avalon model’s fifth-generation arrives in the form of the completely redesigned 2019 Toyota Avalon. This stately full-size sedan offers a serene cabin, plentiful next-gen safety features, and a supple ride. Plus there’s more power under the hood, confirming this sedan as a can’t-miss selection at Midtown Toyota. All four 2019 Toyota Avalon trims derive their power from a 3.5L 6C engine that makes 301hp and 267 lb-ft of torque and pairs with an eight-speed automatic transmission and front-wheel drive. This engine is more powerful and fuel-efficient than engines of years past, and it gives the 2019 Toyota Avalon a boost in terms of performance. The 2019 Toyota Avalon qualifies as a luxury sedan without a luxury price tag. Consider the entry-level 2019 Toyota Avalon XLE: on the outside, this pristine car offers automatic LED headlights, 17-inch alloy wheels, and heated mirrors. And in the cabin, customers visiting our local Toyota dealer will see power heated front seats, an auto-dimming rearview mirror, and simulated leather upholstery. Every 2019 Toyota Avalon is also exceptionally high-tech. Bluetooth, a Wi-Fi hotspot, and a 9-inch touchscreen are standard on each trim, and higher-end trims add even more cutting-edge technology. 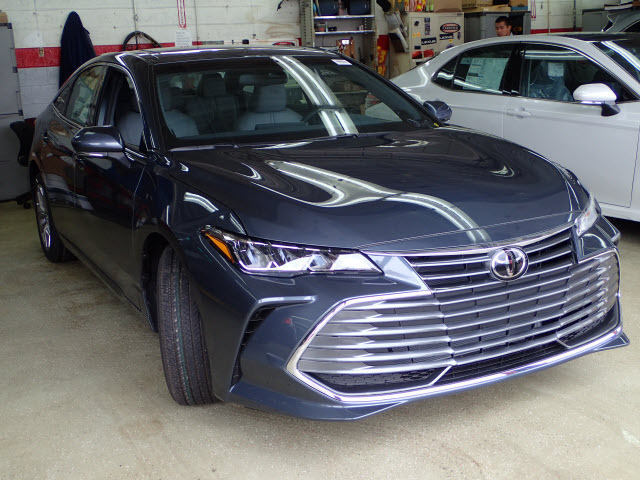 Like virtually all Toyota cars near Des Plaines, IL, every 2019 Toyota Avalon is bolstered by the presence of Toyota Safety Sense. This progressive tech group includes blind-spot monitoring, adaptive cruise control, lane-keeping assist, and several more innovations. No surprise then that the 2019 Toyota Avalon is an IIHS Top Safety Pick. Stop by our Toyota dealer at 2700 N Cicero Avenue in Chicago, IL and we’ll introduce you to the 2019 Toyota Avalon model’s ample special features menu. One car with numerous appealing amenities is the midrange 2019 Toyota Avalon, which offers a sunroof, 18-inch wheels, a sunroof, and enhanced exterior lighting on the outside, and wood cabin trim, aluminum pedal covers, and a heated steering wheel on the inside. Top-shelf technology is also widely available for the 2019 Toyota Avalon, ranging from a wireless charging pad and 14-speaker JBL sound system to augmented engine intake noises and built-in navigation. 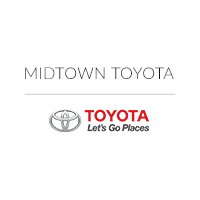 Of the many Toyota dealerships in Chicago, IL, Midtown Toyota stands out for its first-rate customer service and deep selection. Visit our local Toyota dealers today and test drive a fully-redesigned 2019 Toyota Avalon. Premium features, a fantastic powertrain, and an outstanding ride set this full-size sedan apart from its competition.